The Ring Alarm is a wireless security system designed with tthe homeowner in mind. Installation is quick and easy using wireless sensors and keypad(s). 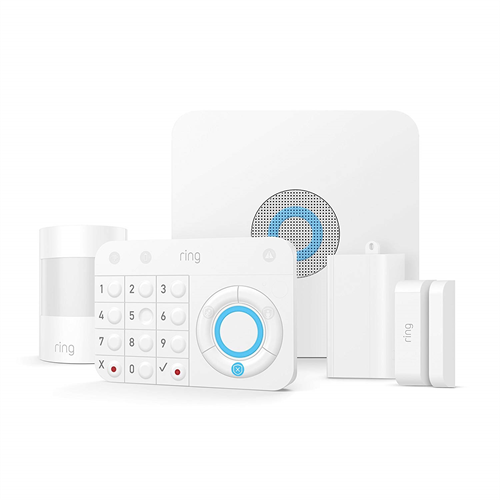 The Ring Alarm connects to your home's WiFi or wired network to provide remote arming/disarming, status, and notifications in case of an alarm. The free iOs and Android apps provide peace of mind with no monthly or set up fees. 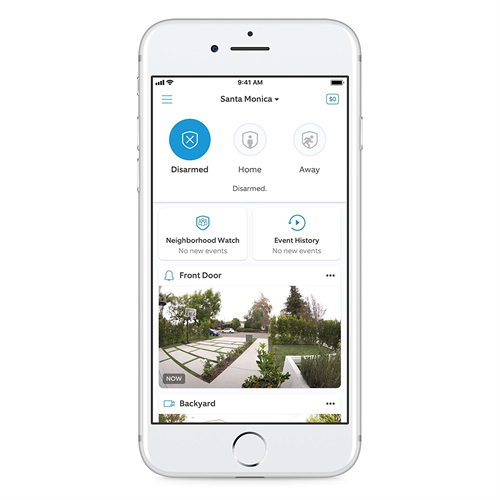 Every member of the household can use the Ring app for the security system - plus it also supports the Ring video doorbell and Ring cameras for a complete Ring of Security around your home. The starter kit comes with the alarm's base station, a wireless keypad, wireless door/window sensor and wireless motion sensor. The alarm has a built in 104 decibel siren. Additional Dome DMS01 siren may also be added. The Ring Alarm also integrates with Zwave locks from Weiser, Yale, Schlage and Danalock. Currently series 300 locks are supported. Series 500 (Zwave Plus) lock support is planned for early 2019. For those wanting professional monitoring, Ring offers the optional Ring Protect Plus plan in USA and Canada (Quebec excluded). This plan provides professional security monitoring, cellular backup for alarm monitoring, as well as recording for the Ring Doorbell and Cameras located at the same house. Plus an extended warranty on all Ring devices in the same home. ** Note: Professional monitoring is not available in Quebec.